Darragh O’Keefe (GIS specialist) logs on to the Ventus website to demonstrate its Google maps interface. Citizen scientists from around the world can play the game by entering information on power plants including the location, type of fuel used and the amount of electricity produced. By John Roach, Contributing Writer, NBC News: Sometimes, drinking a few beers after class can save the planet. A just-launched online “game” dreamed up during one such beer-drinking session aims to do that by encouraging people around the world to supply much needed data about the world’s power plants that burn fossil fuels. This would also look good on a smart TV. “My argument is that this is something that is actually locally known and so why not leverage that in a time in which social networks dominate our lives?” he told NBC News. 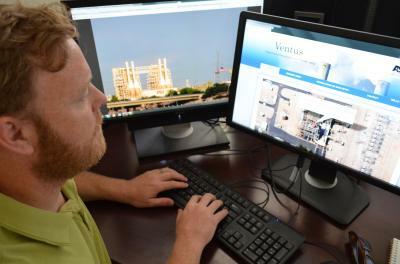 To do that, he and the students in his lab built Ventus, a website where anyone anywhere can enter what data they can about the world’s power plants including precise location, fuel type and electricity generation. The video below explains more about the project. The more “useful” information a person enters, the more points they earn. A winner will be announced in 2014, and will receive a trophy and become “famous among our very elite, newly-formed global group of citizen scientist enviro-nerds,” the game website explains. The team hopes the game will become viral enough on social media such as Facebook and Twitter to gain traction in parts of the world where power plant data is sorely lacking — which is pretty much everywhere excluding the U.S., Canada, Western Europe and South Africa. Outside of these countries, “you pretty much fall off the cliff of information; there is very, very little,” Gurney explained. The team did spend a few thousand dollars to purchase a comprehensive list of facilities from the Center for Global Development that provides plant names and the cities they are near. 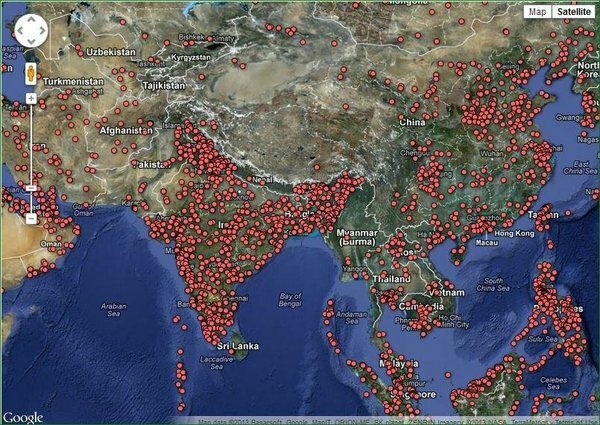 As best they could, the team plotted roughly 25,000 power plants from the list on a Google Earth map. Ventus uses a Google Earth map which allows players to drop pins on power plants. The research team has already entered 25,000 plants onto the map. While a start, the team needs more precise information to accurately model power plant carbon dioxide emissions, the source of more than 40 percent of the greenhouse gases produced by human activity. Getting this information, however, is a challenge. Two undergraduate students in Gurney’s lab spent six months poring over the list and then looking for the plants using Google Earth. They found 800. “This was just too labor-intensive and, of course, it is perfect for crowdsourcing,” Gurney said.